Three Ghost Friends: New Lower Price on THREE GHOST FRIENDS AND THE BATTLE BOOS! New Lower Price on THREE GHOST FRIENDS AND THE BATTLE BOOS! 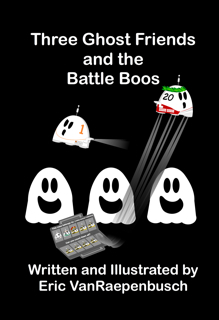 Download the eBook edition of THREE GHOST FRIENDS AND THE BATTLE BOOS for only $1.99!